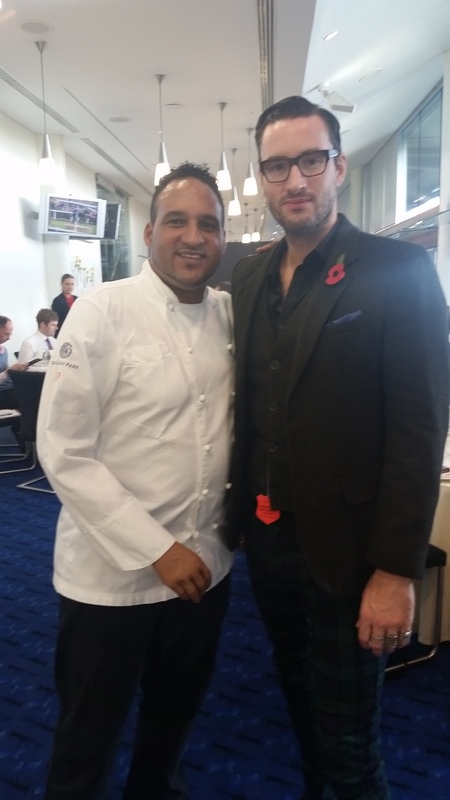 On the 1st November maketh-the-man was invited to Ascot to sample the fine dining menu for next years Royal Ascot where michelin star chefs Michael Caines and Phil Howard will each host a restaurant! Maketh-the-man couldn’t wait and I was his date! 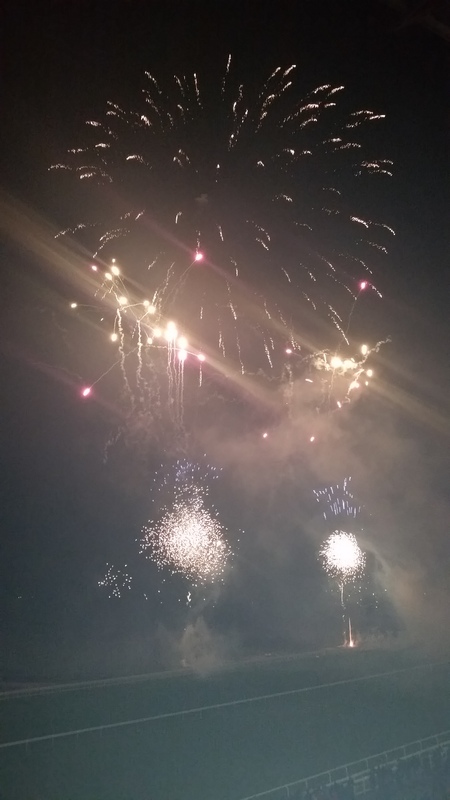 The event just happened to fall on my Birthday too! 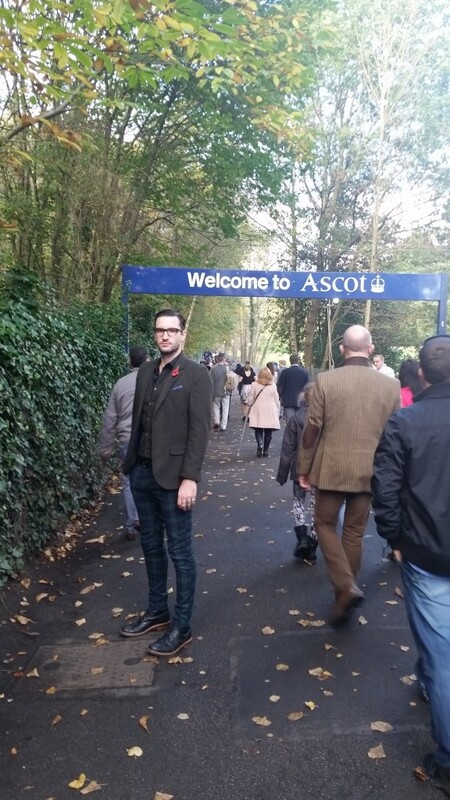 We arrived fashionably late after much online research as to what should be worn during jumps season. 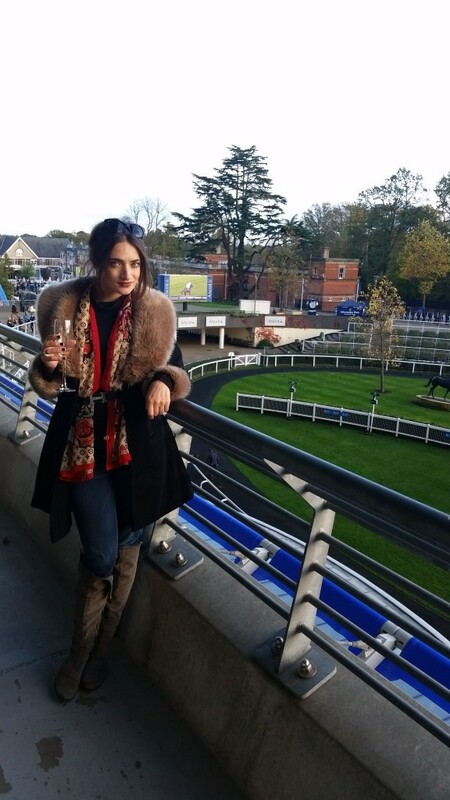 I chose my favourite vintage knee high boots, dark jeans by true religion, a black polo accessorised with Louis Vuitton Scarf, Hermes Belt and Diamonds topped off with a fur trim coat for the parade ring and grandstand. 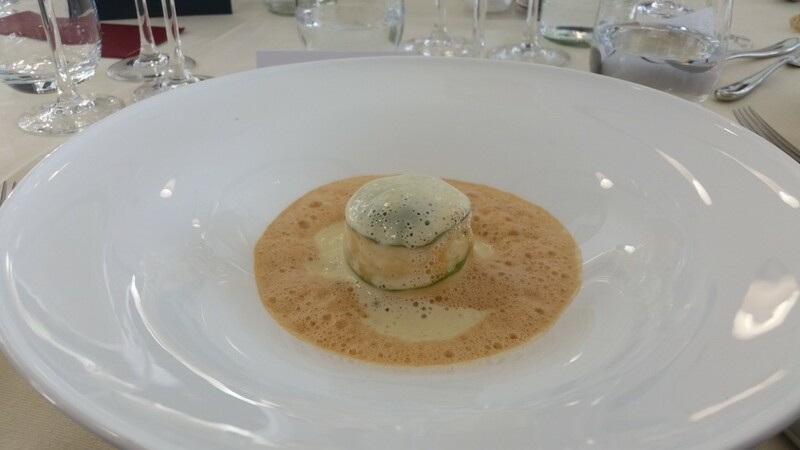 We arrived just in time for the starter of crab lasagne with a cappuccino of shellfish and champagne foam created by Phil Howard … It was of course absolutely divine. 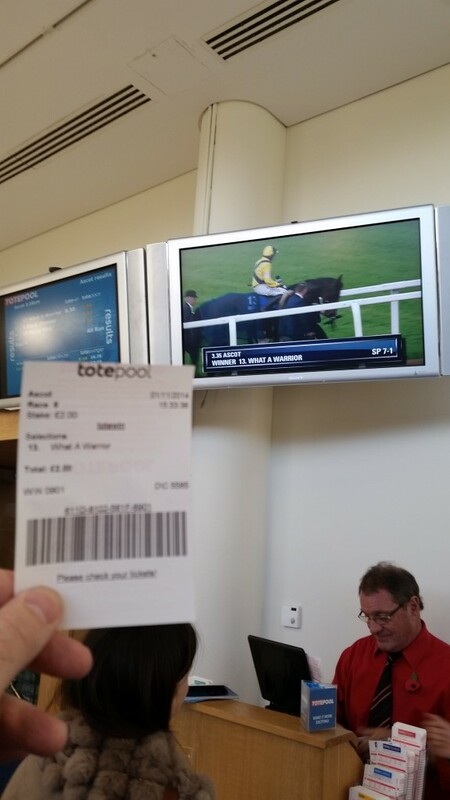 The course was accompanied by a glass of Bollinger La grande annee 2004 In between courses we bet and lost everytime (bar one lucky race)! 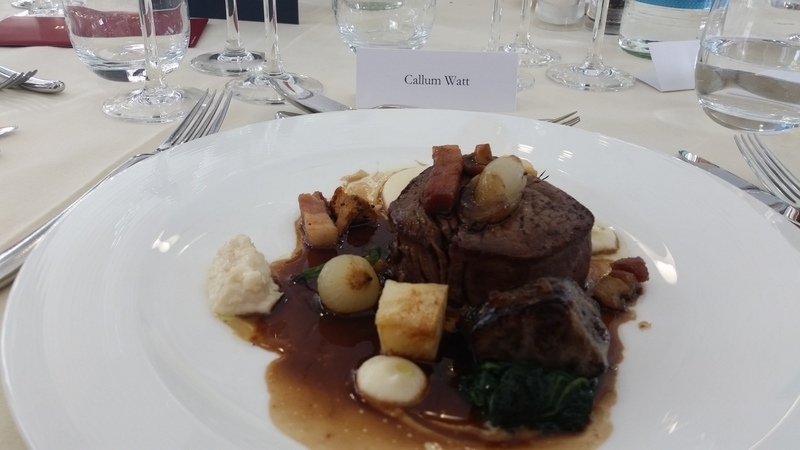 Michael Caines introduced his main course of Beef fillet, Celariac purée, braised cheek and red wine sauce accompanied by Bollinger La Grande Annee Rose 2004 – an unusual but absolutely perfect pairing. 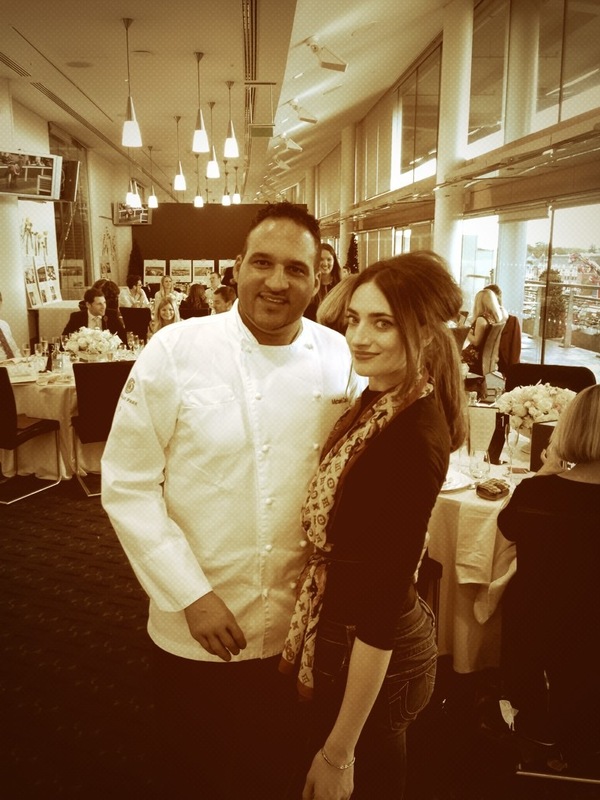 As an actress I come into contact with multitudes of famous faces but I turned into a creepy super fan at the sight of Michael Caines – he was wonderful and we even posed for a picture together – he now follows me on twitter – I’m ecstatic!!!! 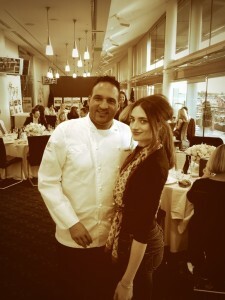 The dessert course was designed by Steve Golding (Ascots very own executive chef). 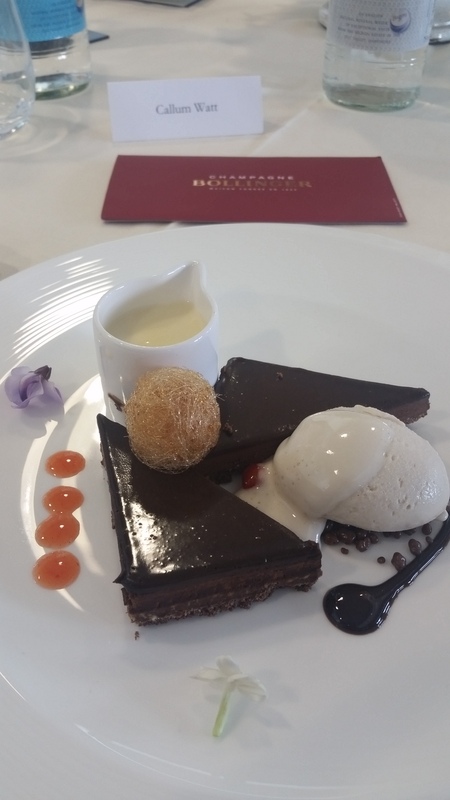 It really was a fantastical concoction … Valrhona chocolate Ganache, liquid caramel popcorn, caramel foam and tonka bean ice cream. Superb! 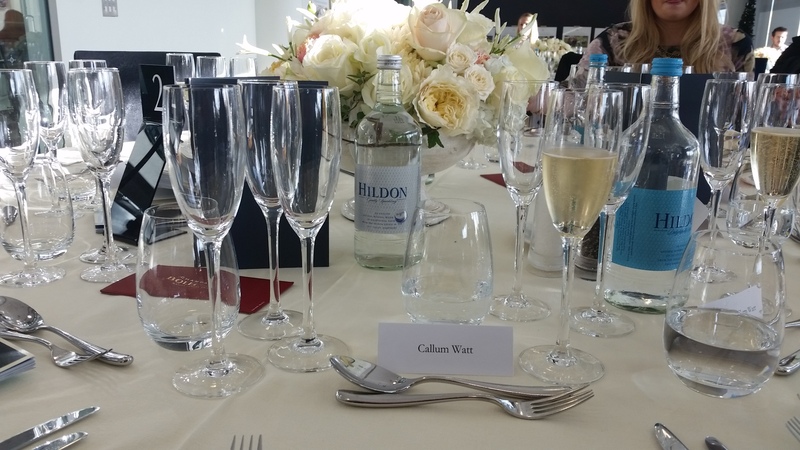 Despite the fact that we were seated with brand manager for Bollinger (who really looked after us) the whole feast was utterly memorable – I can recall every detail as I write (honest)! 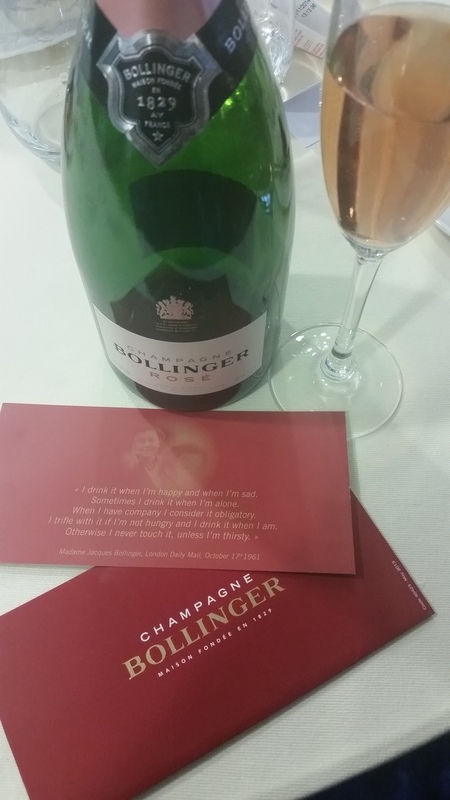 Apparently no matter how much you drink a Bollinger Hangover is impossible!!! I highly recommend a fridge full of Bollinger La Grand Annee Rose to see you through the Christmas season. 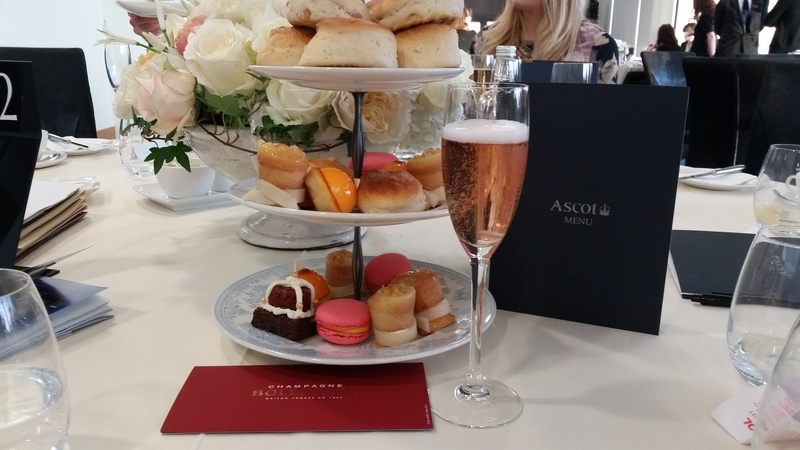 As an extra treat afternoon tea was served with more bubbles. The hot scones, cakes and macaroons were light, and very moreish. 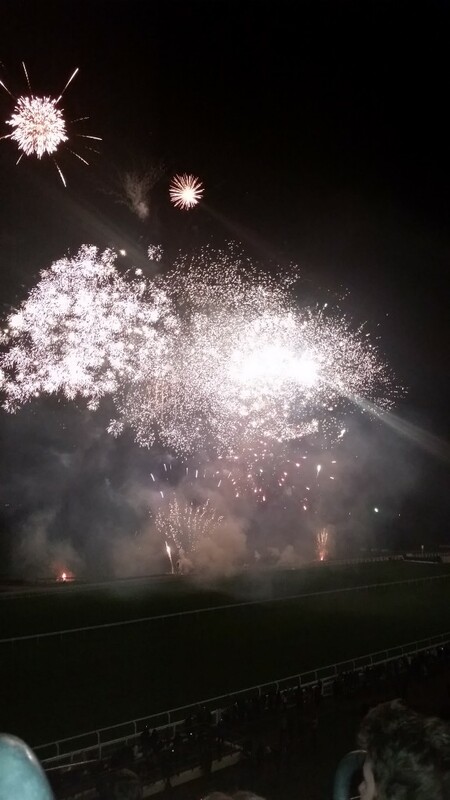 In the evening we were treated to an absolutely spectacular fireworks display. 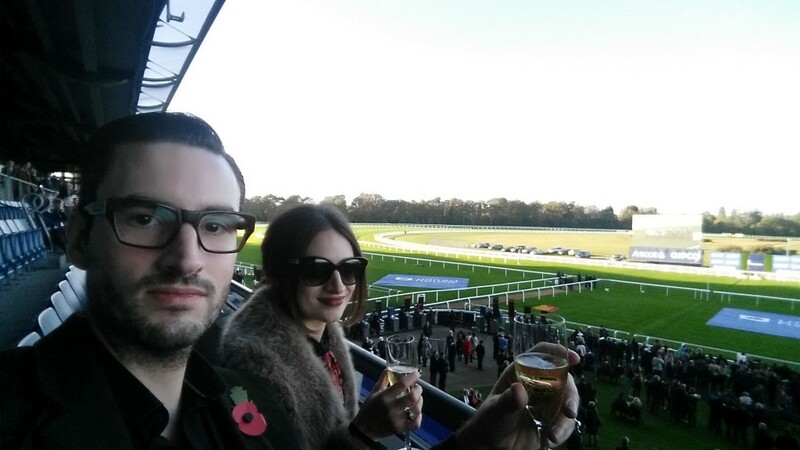 Maketh-the-man really knows how to maketh his ladies Birthday – I can’t wait for Ladies Day 2015!